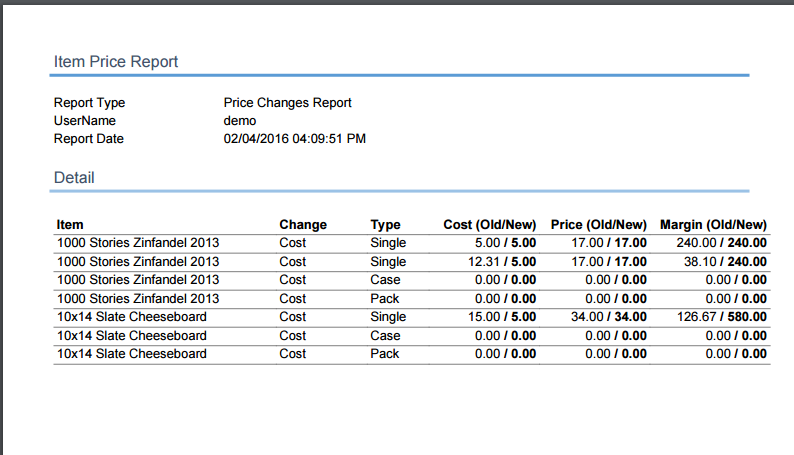 Price change is a module in which we can change price and cost of item(s) category wise. By different group we can change in price/cost of item like group wise, tag wise, vendor wise and department wise. Steps to change price/cost in item(s). ⦁ Login to Back Office (http://www.rapidrms.com/Account/Branchlogin). ⦁ Go to item tab and select price change option. 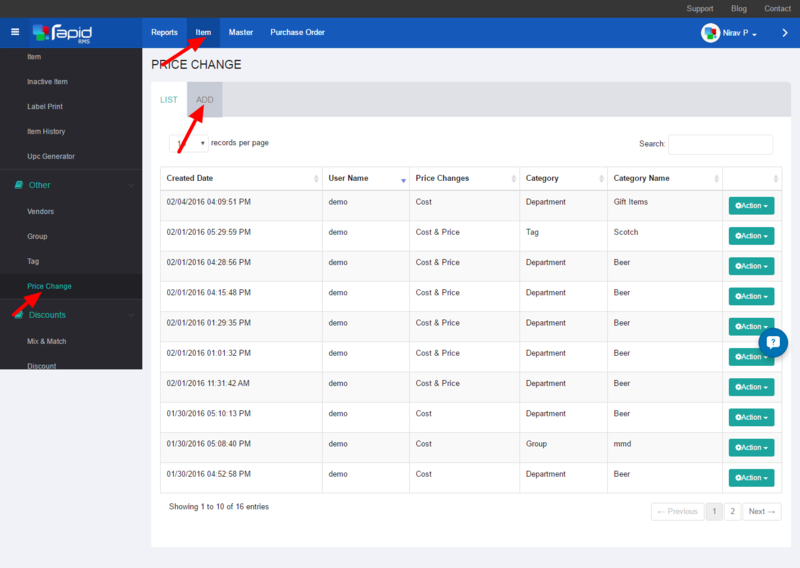 In item price change screen, list of all records display by created date and category. For adding new price change record. 1: Click on Add tab for adding new record. 2: There are four categories in which at a time we can select only one.Options for selections are group, tags, vendor and department. If want to change price or cost by grouping in one item or more than one item then it is allow to change price & cost in mass. i.e if department is selected then all available departments list display. Select any one in which you want to change price/cost in item(s) of that department. By clicking on one of option it is display in title. There are three options available for change cost and price. Select any one. According to that next page will generate and allow to enter new value. If want to change only cost then select cost option. And if only price change then select price option. If you want to change price and cost simultaneously than select cost & price both option. If we want to change cost of item(s) then select cost option. And click on next button. Enter value in cost for single. Select item(s) in which we want to change cost. And click on finish button. If want to go on previous for any changes then click previous button. Created record will display in main page of price change. To see changes click on action button there are two options available i)Print PDF and ii) Export excel. To see report of changes click on print PDF. Report will display as per following. For export file in excel click on another option export excel.